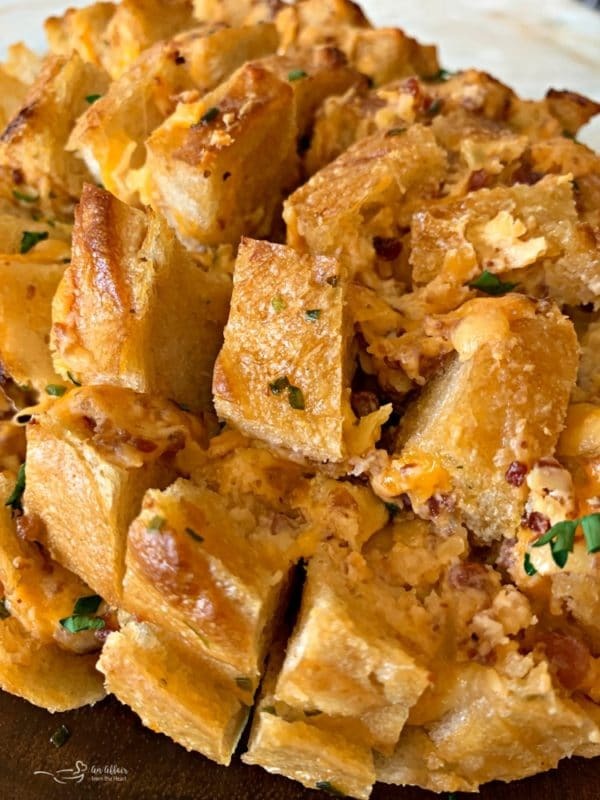 Garlic-buttery cracked sourdough bread, packed with bacon and three kinds of cheese, baked to perfection. That extra-special ingredient? Dorothy Lynch Homestyle Dressing & Condiment! This is one EPIC appetizer. 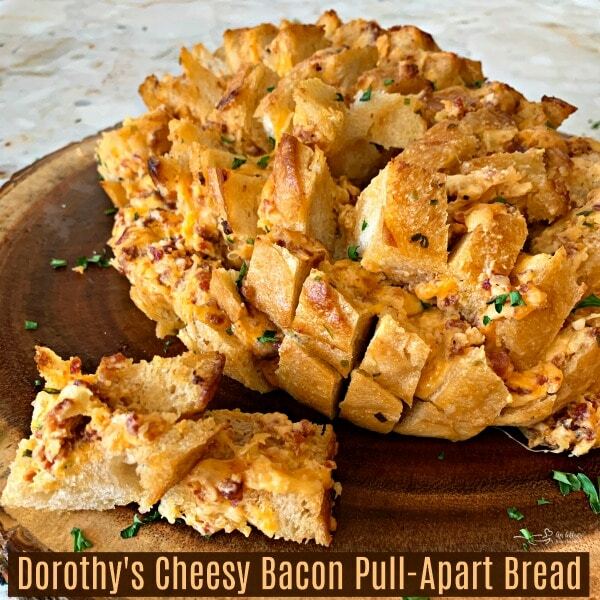 Dorothy’s Cheesy Bacon Pull-Apart Bread. If I told you nothing more about this bread, besides the name and that photo, wouldn’t you still want to face-plant right into the middle of it? Alas, what sort of a foodie friend would I be if I told you nothing more? 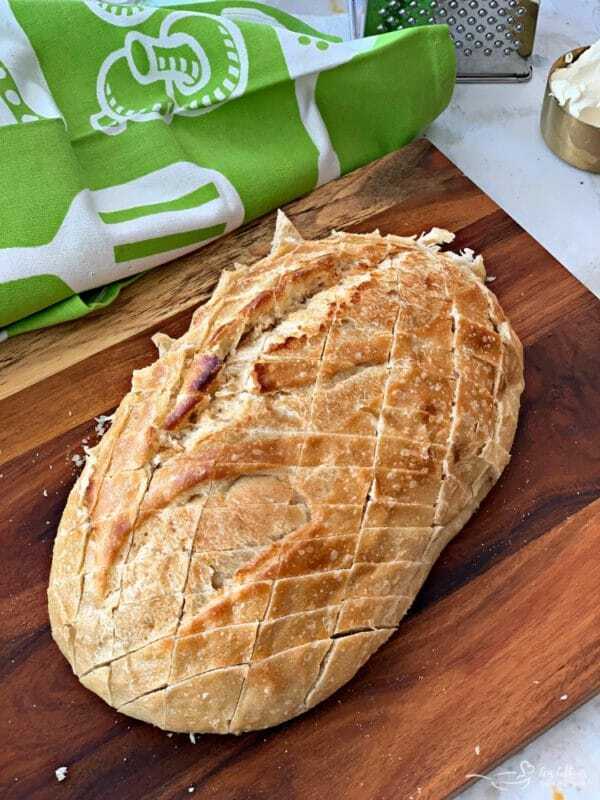 I mean, I already spilled the beans what the secret ingredient is, but don’t you want to know how this glorious cheese stuffed bread came to be? This recipe is sponsored by Dorothy Lynch Dressing & Condiment. All of the opinions and love of their Nebraska-Made Home Style dressing are my own. Did you hear? There is a really big football game coming up. I have to admit, the football part is fun, but I am honestly more about the food and the commercials. So, when Dorothy Lynch asked me to come up with some football eats … you knew I was all over it! This isn’t the first football related food I have cooked up for Dorothy Lynch. Back in the fall, I shared a recipe for Sloppy Dorothy Sandwiches, that went absolutely cah-RAZY on the internet. You see, Dorothy Lynch Home Style Dressing & Condiment is a proud sponsor of my very favorite football team, the Nebraska Cornhuskers. I couldn’t just make any ‘ol ho-hum football food. I had to make something worthy of these two Nebraska classics. This Sloppy Dorothy didn’t disappoint. 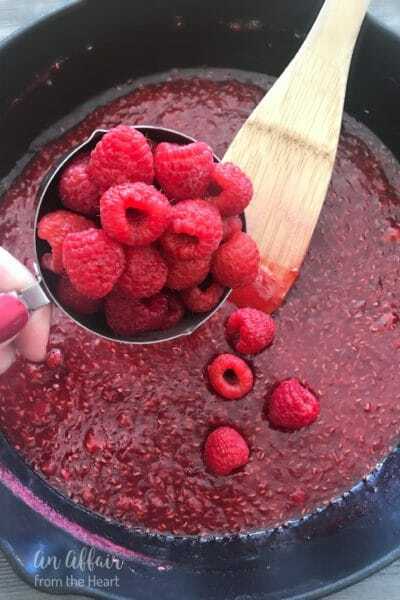 It quickly became one of my top recipes of all times. Yes, friends. It’s THAT good. SLOPPY DOROTHY SANDWICHES Move over Joe!! There is a new and improved version of your classic. 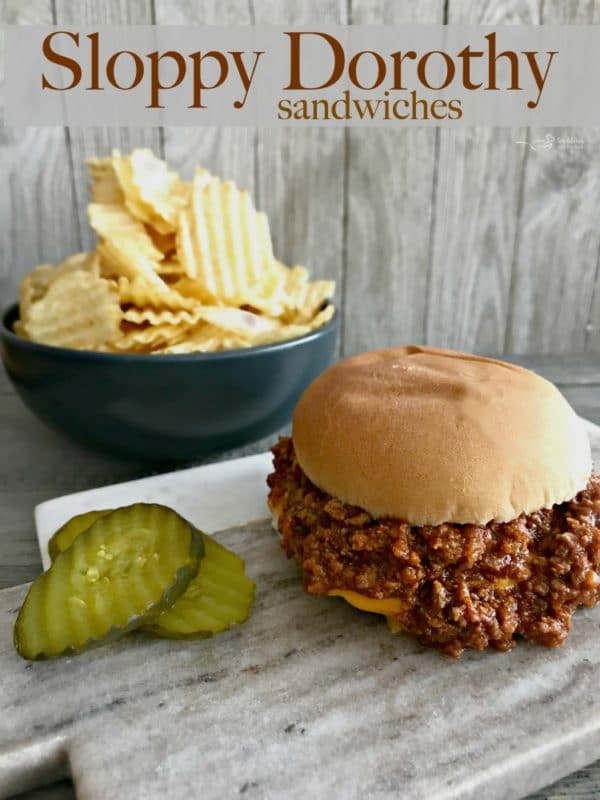 These Sloppy Dorothy sandwiches are made with Dorothy Lynch Dressing and will have you licking your fingers in pure satisfaction! The bar was set high, and even though my favorite team isn’t eligible to play in this particular football game coming up, I needed to come up with some epic football grub. The idea was born, and I had to decide what to name it. You see, Pull-Apart bread is one name I could have gone with. Another popular name for breads like these? Crack Bread. It’s typically called Crack Bread for a couple of different reasons. The obvious one? The bread is cut into pieces, using the knife to go almost all the way through, then cross-hatching it, forming large cracks in the bread. Those cracks are filled with delicious things like butter, spices, bacon and cheese. Then baked up until it’s all nice and melty. Which leads me to the second reason why crack bread is called crack bread. In slang terms, crack is used when food is addicting and you just can’t leave it alone. Like this cheesy loaf of goodness right here. But for some reason, attaching the name “Crack” to a recipe for Dorothy Lynch seemed wrong. Dorothy was a wholesome woman, who created this dressing in the 1940’s. 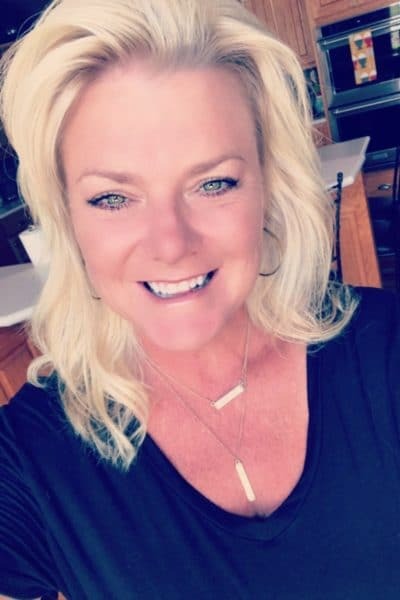 She served it at a restaurant she and her husband ran at the local Legion Club in St. Paul, Nebraska. The dressing became so popular, that patrons would bring in their own bottles to have Dorothy fill them to eat at home. Dorothy Lynch was the perfect addition to this cheesy bacon pull-apart bread. Let me share with you why. 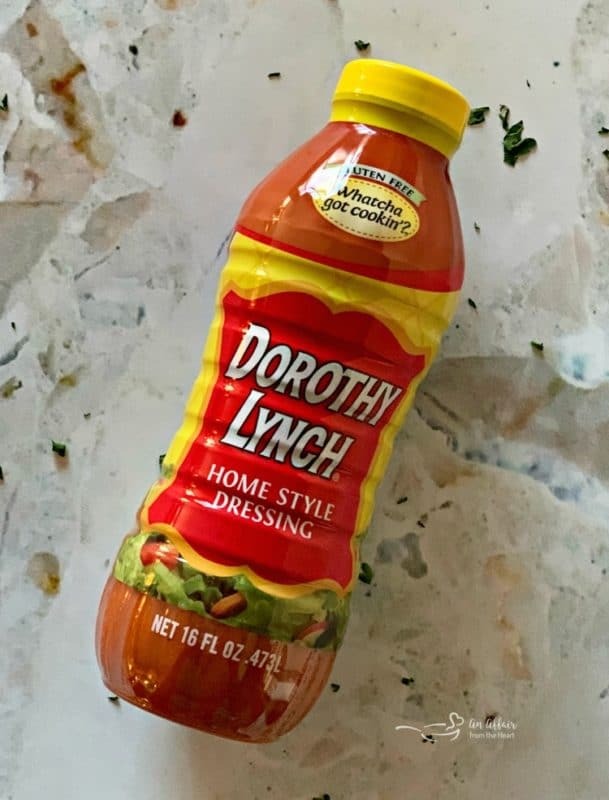 A common misconception about Dorothy Lynch, because of its color, is that it’s “just another French dressing.” It’s not a French dressing at all, in fact. Most French dressings are oil based, whereas Dorothy Lynch is tomato based. It’s got a rich and creamy texture, that is sweet and just a little bit spicy. 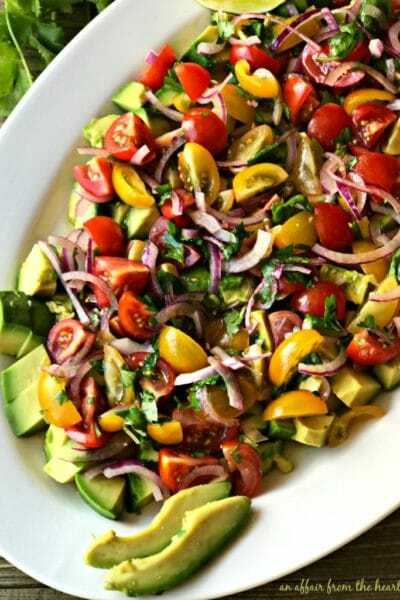 It, of course, is perfect on salad, but is great in so many other ways, too! I bought a nice crusty loaf of sourdough bread. It was oblong in shape and weighed about one pound. Note that if you choose a larger loaf, you will have to adjust the amount of filling to accommodate it. Cut the bread diagonally with a serrated bread knife, take care to cut almost to the bottom, without separating the loaf. Turn the bread and cut diagonally the opposite way, achieving pieces that are about 1″ – 1.5″ in size. Prepare your cheese. Measure out your cream cheese, and shred your gouda and mild cheddar. Shredding your own is always a better choice! It melts so much nicer. Mix up your butter, and your cheese mixture. Get ready to assemble your bread! Don’t forget to add the bacon! Everything is better with bacon. Sure, you could cook your own and crumble it if you want to, but I grabbed a bag of the real bacon pieces from the store. Saved me a bit of time. 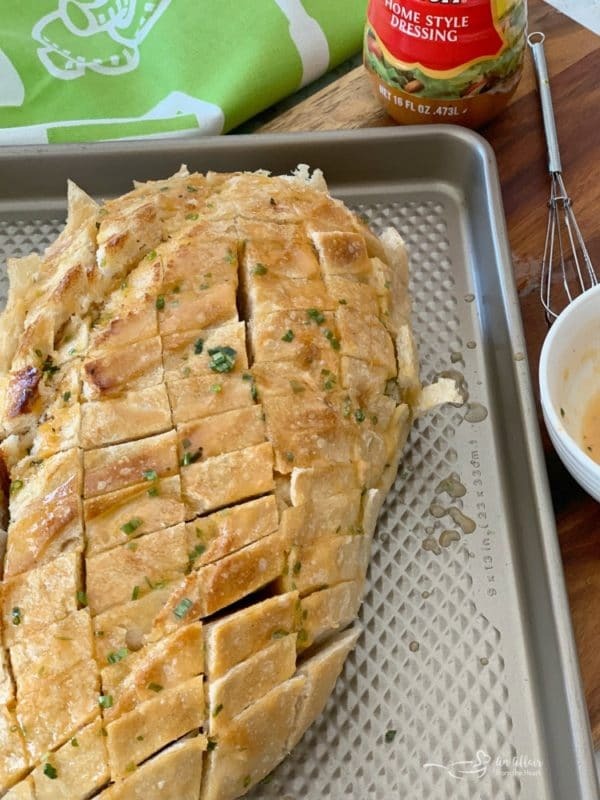 Using a turkey baster, squeeze the butter down inside all of the cracks and over the top of the bread, making sure to get all of that butter down in the cracks. Gently separate the cracks and get all of that cheesy bacon spread down in between each and every one. I used a butter knife for this step, and it worked great! Wrap the loaf in foil and bake it according to the recipe. When it’s done, carefully remove the foil, and plate it to enjoy hot. See how that buttery deliciousness gets all of the way down into the bottom? No skipping out on flavor here!! Serve it with a side of Dorothy Lynch for dipping, of course! WHERE DO I GET MY OWN BOTTLE OF DOROTHY LYNCH? 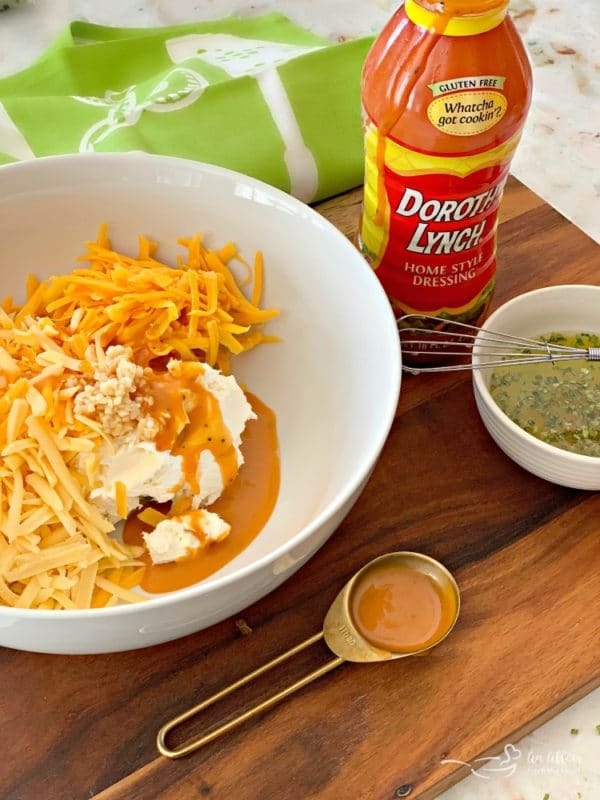 Dorothy Lynch Dressing & Condiment can be purchased at most grocery stores in Nebraska, and can be found at select grocery stores around the country, including Walmart and HyVee. If you can’t find it there, you can always get your pantry stocked with Dorothy Lynch by shopping Buy Nebraska or Amazon! Follow along with Dorothy Lynch on their website, their Facebook, and their Twitter accounts for delicious recipes all year long. Are you ready for some football?? 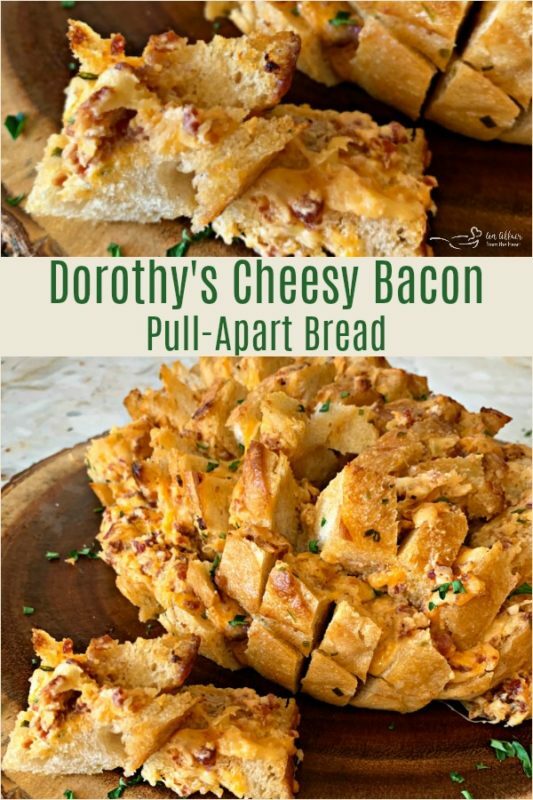 I, myself, am just ready for some of Dorothy’s Cheesy Bacon Pull-Apart Bread! 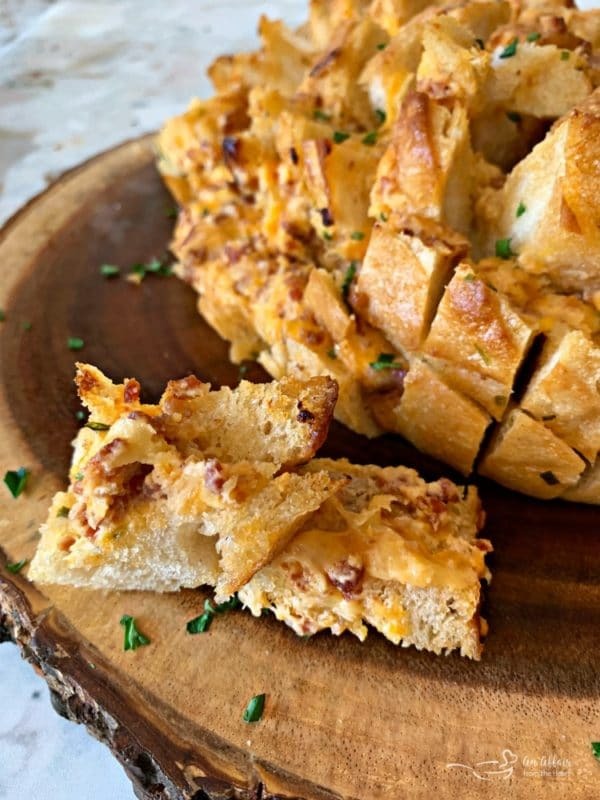 Garlic-buttery sourdough bread, packed with bacon and three kinds of cheese, baked to perfection. That extra-special ingredient? Dorothy Lynch Homestyle Dressing! This is one EPIC appetizer. Make diagonal cuts in the bread approximately one inch apart. Do the same going the opposite direction so the bread is cross hatched in one inch squares. Be careful not to go all the way through. Combine melted butter, 2 T. Dorothy Lynch, chives and garlic salt. Using a turkey baster drizzle melted butter mixture over the loaf of bread -- squeezing it down into the cracks. 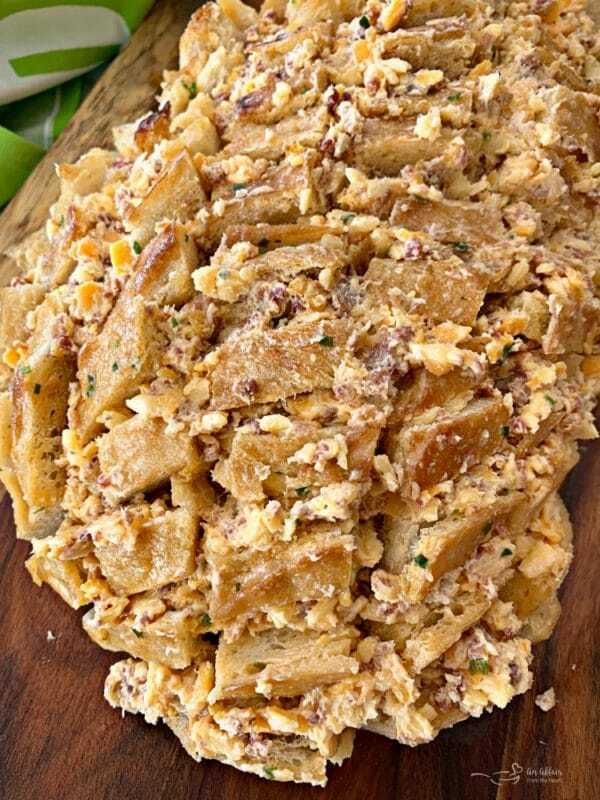 In another bowl with your mixer, beat together cream cheese, minced garlic, 3 Tablespoons Dorothy Lynch, shredded gouda and cheddar cheese. 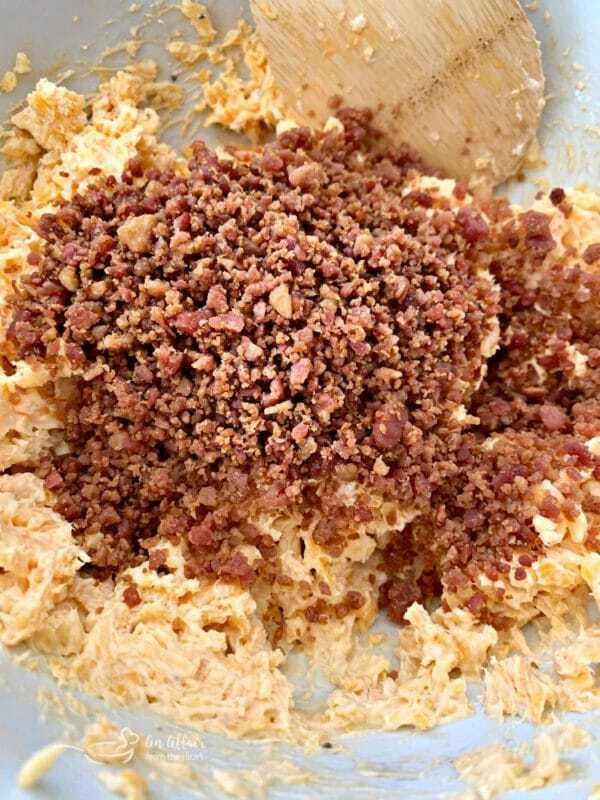 Fold in bacon bits. Use a butter knife to stuff the cheese mixture down into the bread, making sure to get it in between all of the cracks. Place the bread on a large piece of foil and wrap it loosely. Place on a baking sheet and bake for 20 minutes. Carefully unwrap to expose the top and bake for about 15-20 minutes more, or until bread is golden brown and cheese is nice and melty. Garnish with chopped fresh parsley. Serve hot. this really looks fabulous, I know the whole family will enjoy this fun bread! Wow this pull apart bread looks amazing. Great for movie nights and watching sports! Not sure I can find the sauce here in Italy but maybe I can order online! YUM!!!! Had to call hubby over to watch this video. The verdict? Looks like we are having this for supper! I think I would be able to eat all of this all by myself! 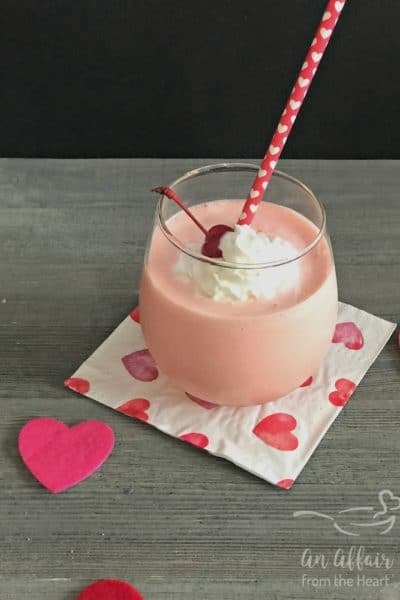 🙂 Looks delicious! 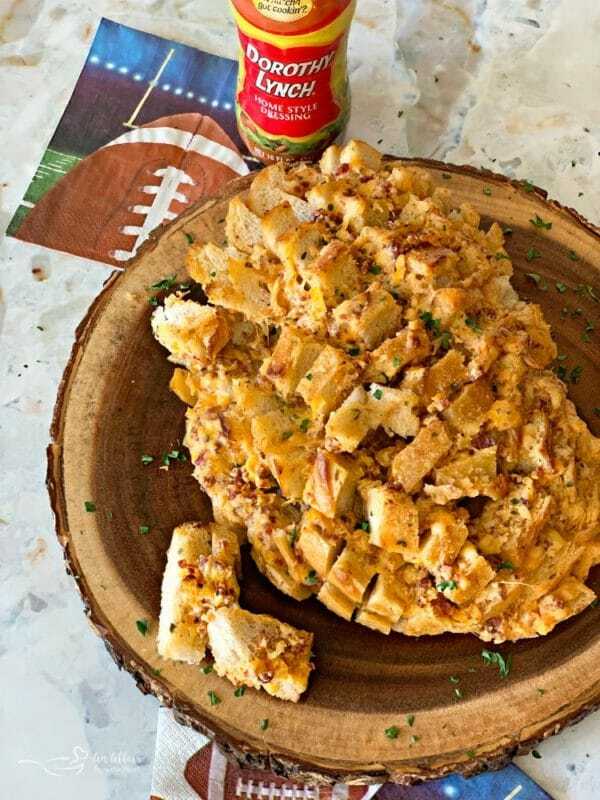 This is the perfect recipe for football parties and any gathering, actually. Thanks for the step by step photos, too! That bread looks SO good. Anything cheesy is good with me. This bread looks insanely delicious!!! Such an awesome recipe!! 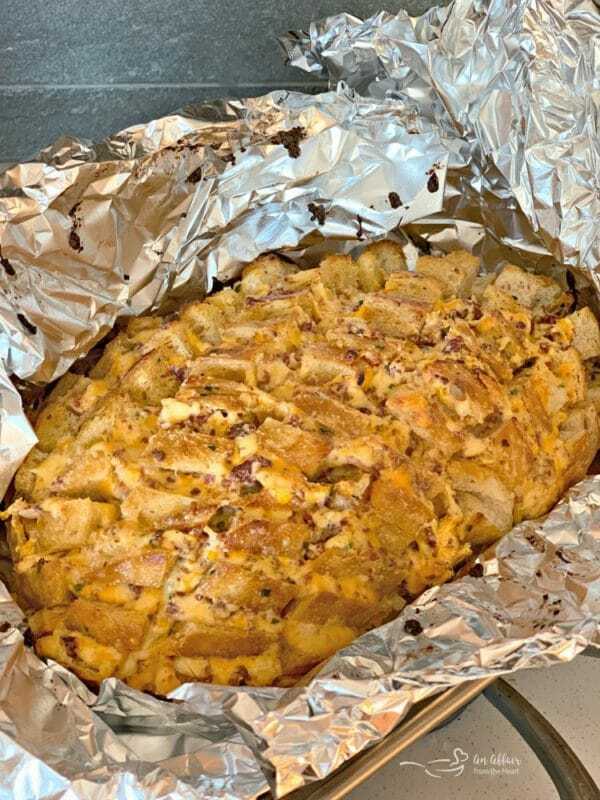 Your “DOROTHY’S CHEESY BACON PULL-APART BREAD” looks insane good, I enjoyed too watching your video! Thank you for sharing!! Looks heavenly, Michaela! A great party treat and I would happily eat the entire whole loaf!! Dorothy Lynch is just delicious. I grew up soaking my salads in it! I love this recipe and can’t wait to try it with this beloved dressing! I cannot wait to try this! So cheesy and all that bacon and dressing! Yum!! 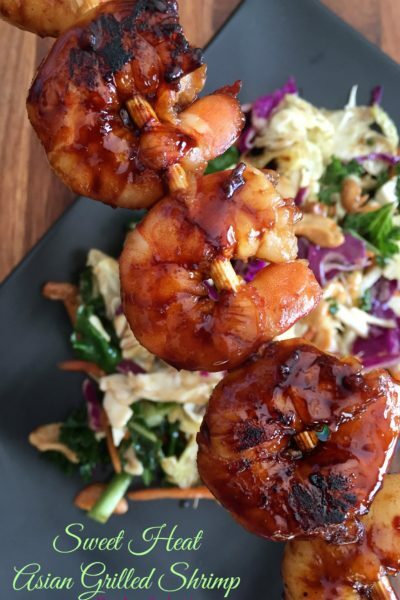 Perfect for dinner or served as an appetizer. This Cheesy Bread looks so amazing! Perfect for the Super Bowl! I keep staring at this, wishing I had it in my house right now! 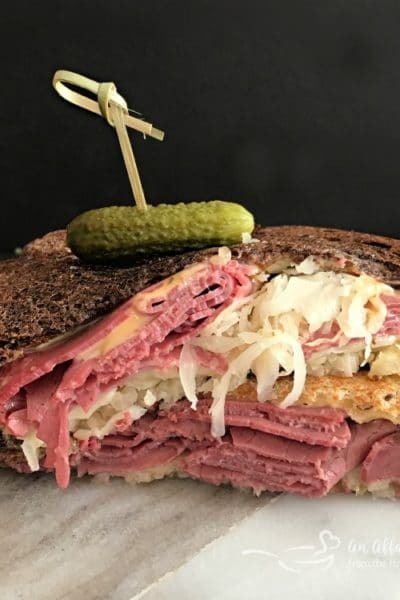 You had me at faceplant haha – this bread needs to be in my life like yesterday! Such amazing breakfast option and can never miss to try this one. My family to love it for sure. Looks perfect. Looks amazing Michaela! I bet that mixture would taste pretty dang good in a baked potato too! Love the turkey baster tip, That’s a great way to get that butter all over and that bread? Oh my goodness, save some for me! You had me at bacon and three types of cheese! This bread looks absolutely incredible. So perfect for game day. This is the ultimate appetizer! 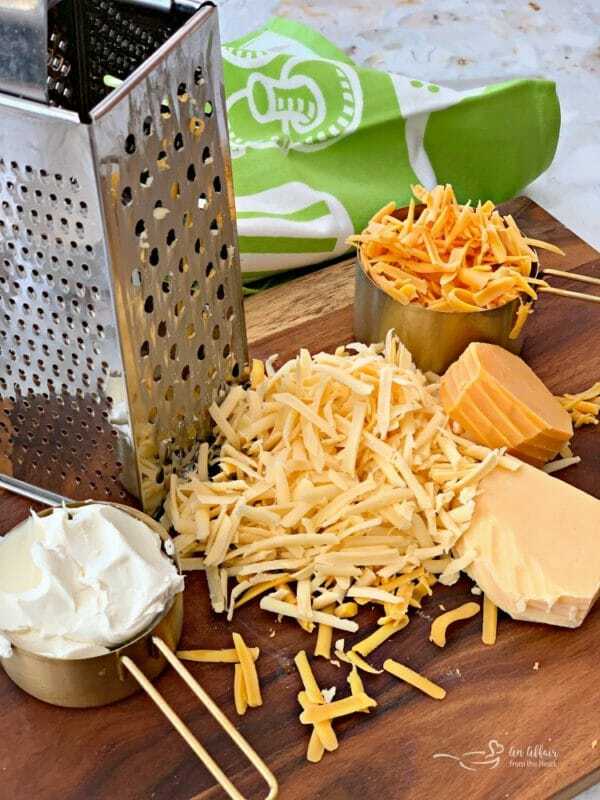 Dorothy’s sauce is a great compliment to all that cheesy goodness! So cheesy and yummy! I tried to make one of these breads before and it didn’t look as good as yours. Maybe I need to try again! 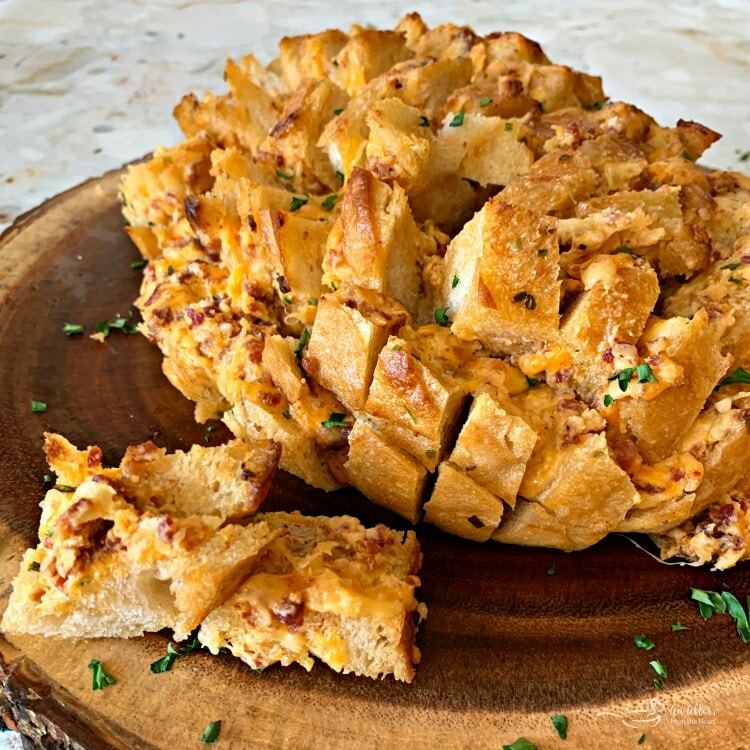 I am head over heels in love with this Cheesy Bacon Pull Apart Bread! Absolutely positively addictive!!!!!! Best pull apart bread on the internet! 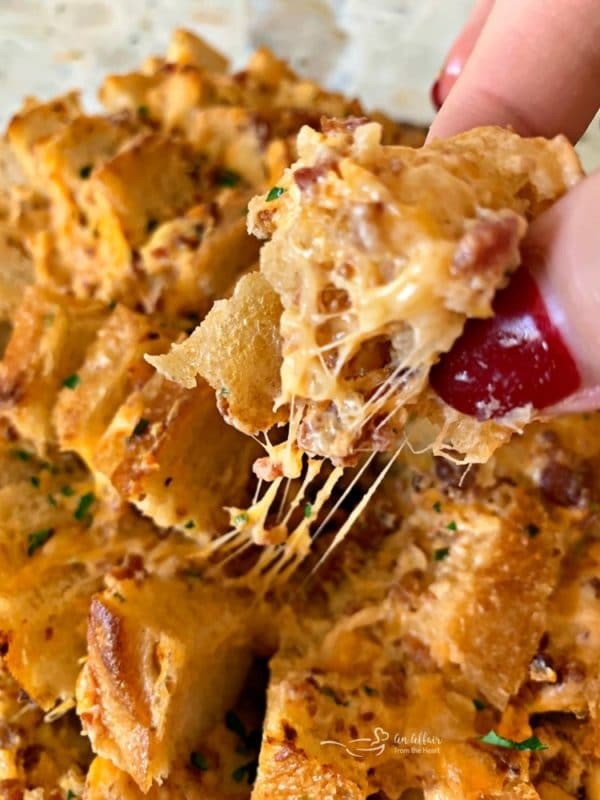 That pull-apart cheesy bread looks so delicious! I love that stretchyyyy cheese. OMG I made this the other night and it went from appetizer to full on dinner because we couldn’t stop eating it!! The dressing is genius and adds so much flavor! I have made it for dinner, too! 🙂 Great with a salad on the side. What more could you need? ?